Want to share your MP4 clips on Facebook, YouTube or MySpace? Although MP4 is accepted by YouTube, FLV is more friendly to YouTube. 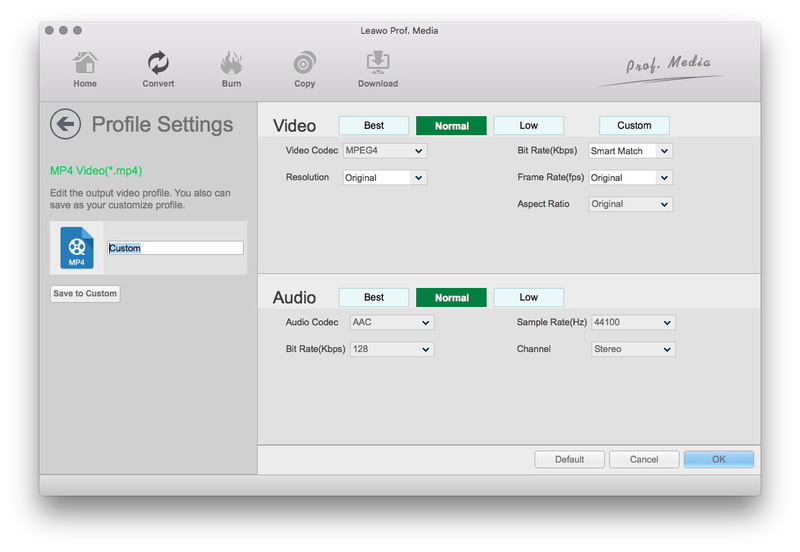 Therefore you could firstly convert MP4 video to FLV format. This guide shows you detailed steps on how to convert MP4 to FLV on Mac by using a professional MP4 to FLV Mac converter. MP4 (H.264/MPEG-4 AVC and MPEG-4) format is one of the most used file types for a wide selection of mobile players, computer applications and Android-based products. For some reason, if you want to upload a MP4 video and distribute on a YouTube-like website, you’ll probably need to compress .mp4 to .flv flash format to make the file a smaller size. FLV is a flash file format that’s designed to play in a Flash Player or web browser plug-in. It is the way to watch videos on the Internet, and many of video-sharing websites like YouTube encode their media as FLV. 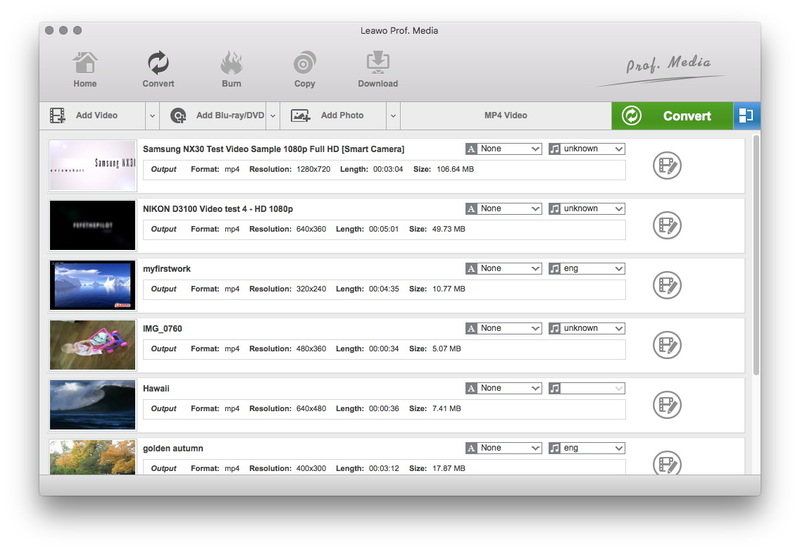 Leawo Video Converter for Mac is a multifunctional media converter that could handle media conversions between video and audio files of various formats. It could convert video and audio files between 180+ formats like MP4, AVI, FLV, MPEG, MKV, MOV, WMV, MP3, AAC, etc. It could act as a professional Mac MP4 to FLV converter to help you easily convert MP4 videos to FLV format for uploading to online video sharing sites like YouTube, FaceBook, MySpace, etc. 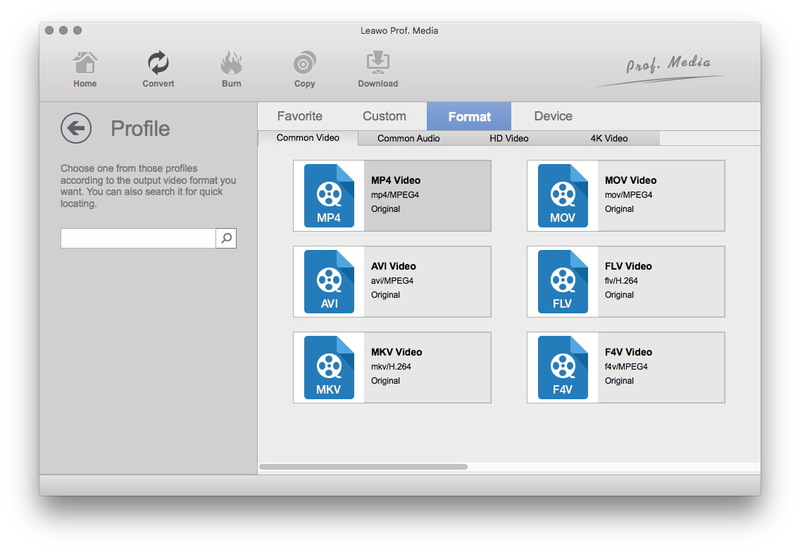 After you download and install Leawo Software’s MP4 to FLV Converter Mac on your Mac, you can follow the step-by-step guide below to learn how to convert MP4 to FLV on Mac. If you are Windows users, you should switch to its Windows counterpart – Leawo Video Converter to convert MP4 to FLV on Windows. 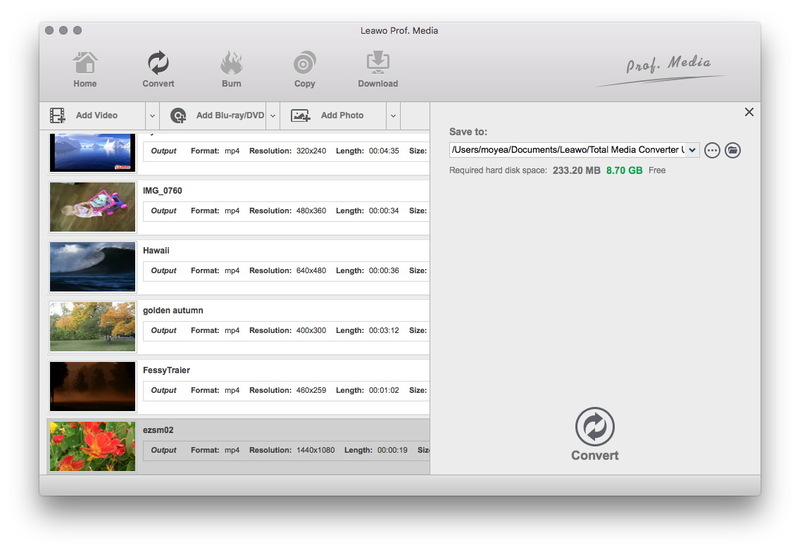 After the installation of Leawo Video Converter for Mac, launch it to enter the main interface, and under the “Convert” module, click the “Add Video” button or directlry drag source MP4 videos that you’ve stored on your Mac into for this Mac MP4 to FLV converter. You could get all information on the left processing list, import multiple MP4 videos for batch MP4 to FLV conversion, edit loaded MP4 videos, add 3D effect, etc. After importing source MP4 files, click the drop-down box right before the big green “Convert” button and then select “Change” option on the drop-down panel to enter the Profile window for output format setting. Open “Format > Common Video” group to select FLV as output format. Optional: If you’re not satisfied with the video and audio parameters of preset FLV format like video codec, bit rate, aspect ratio, quality, frame rate, audio codec, audio quality, audio bit rate, sample rate and channel, you could reset them. After setting output format, re-open the drop-down box and then select “Edit” option to enter the Profile Settings panel. On the Profile Setting panel, you could freely set the parameters. To save your time, you could check “Apply to all” option to apply all settings to all selected files. Finally, click the bottom “Convert” button of the sidebar to start to convert MP4 to FLV Mac. After you convert MP4 to FLV, you can follow the instruction below to upload FLV videos to YouTube. As the video is uploading you can edit both the basic information and the advanced settings of the video, and decide if you want to notify subscribers (if you uncheck this option no communication will be shared with your subscribers). Partners will also be able to adjust their Monetization settings. Click “Publish” to finish uploading a public video to YouTube. If you set the video privacy setting to “Private” or “Unlisted”, just click “Done” to finish the upload or click “Share” to privately share your video.